My dear friend, do you feel it’s important to pay close attention to your physical, mental and emotional health, but don’t know how? Maybe there are some issues that you have been neglecting, but now you have the firm commitment to start anew. So I invite you to release the guilt and join us in my popular forty days transformation and detox program. This Rebirth Yourself 40 Days Transformation and Detox will enhance the natural vibrancy of your body by gently detoxing it from unnecessary debris. As you choose delicious seasonal plant-based foods with a clear intention of releasing the toxins that have been clogging up your system, you give birth to a clearer, stronger and more energized version of yourself. This program is designed to do more than just help you detox and release that extra weight – it’s designed to help you become truly happy… physically, emotionally and spiritually. I personally know what it’s like to experience what you’re going through – and I’m devoted to giving you the love and support that you need. This approach is the result of weaving together both ancient and modern modalities for optimal health and vitality. You will be guided through effective, sustainable ways to attain optimal health in alignment with your personal tastes and lifestyle. You will be able to explore easy ways to find the right nourishment for this particular time in your life. Detoxing is a foundational first step towards prioritizing your health, taking better care of yourself and achieving the lifestyle changes you desire. It’s a cleansing that allows you to reconnect with yourself, recover the power you have within you, get unstuck in many areas of your life and feel vibrant and energized again. In addition, the decluttering process will probably spill over other areas of your life that you had neglected. I’ve been facilitating this effective, safe and personalized plant-based detox (+ optional juice fast) for many years with proven, incredible results. The Rebirth Your Life 40 Days Transformation and Detox offers you all the materials you need to “de-junk” your system and release physical, mental, emotional and environmental toxins. I have designed this program with the experience I have gathered coaching hundreds of women on cleansing. It will afford you the time to prepare for the actual detox, gently ease out of the cleanse paying close attention to the foods that most naturally fit your body constitution. And we will address all the emotional toxins that start coming up as the cleanse prepares your whole energetic field to release unwanted debris. I have seen amazing results in my cleansers of not only losing weight and feeling more vibrant and healthy, but who are also finally able to get unstuck of paralyzing situations, draining jobs, unfulfilling relationships, toxic environments and so much more! Your investment of only $497 covers all the material provided, two private coaching sessions, four Zoom group sessions and support on the Facebook group. Participants are highly recommended to maximize the results of this program by enhancing it with the support of a premium beyond- organic, NonGMO, raw superfood kit (value $316). Sirena Pellarolo, Ph.D., is a board certified Holistic Health Coach, international author and speaker, radio host and blogger. As a Midlife Midwife she supports women in midlife and beyond to move gracefully through their blocks and rebirth into a vibrant second half of their lives. With 30 years experience in self-development, health and wellness, Sirena believes in a holistic and empowered approach to life transitions through self-awareness, emotional, mental and physical detoxing. 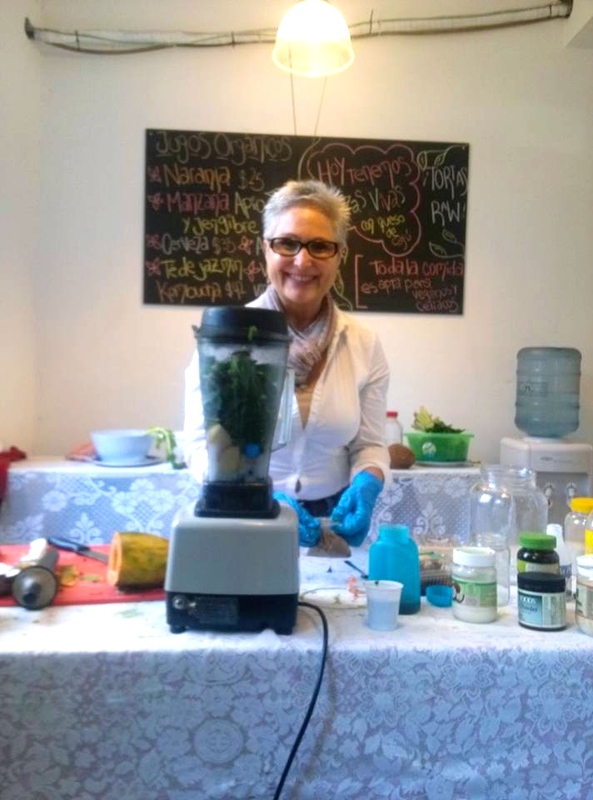 As a raw food educator and detox expert, she has been conducting seasonal community cleanses for over seven years. The founder and facilitator of the monthly Wise Women’s Councils (hosted in Los Angeles, San Diego, Tijuana, Buenos Aires, Ojai and Ventura), Dr. Pellarolo is Professor Emerita of Spanish and Latin American Cultural Studies. She has authored and published numerous articles and two books on Latin American performance and gender studies, globalization and new social movements. She is co-author of Success in Beauty: The Secrets to Effortless Fulfillment and Happiness (2014) and Menopause Mavens: Master the Mystery of Menopause (2015). Her forthcoming Recover Your Juiciness: A 30 Day DIY Guide for an Empowered and Healthy Menopause will be out in Fall 2018. What changes will happen during this cleanse? radiant complexion and fewer blemishes. Will I benefit more than just weight loss? Do you want to lose around 10 pounds but are confused on what to do next to take the weight off in a healthy, sustainable way? Are you ready to stop hiding out and start enjoying life the way it was meant to be lived? Do you realize that your weight loss and lifestyle changes will not succeed until you work through the fears and self-sabotage that consciously and unconsciously keep you from being your best self? Are you frustrated with the draining, complicated advice that you’ve been receiving? Have you started – and stopped – diet and weight loss programs before because the approach was too confusing or you weren’t motivated? Would you like to find natural ways of handling your health? If you answered “Yes” to ANY of those questions and you want a simple, affordable, motivating program – one where you’re personally supported – then join me in this program where I’ll hand you my systems, tools, recipes and even the super foods I use…. So you can create the success and lifestyle you deserve. 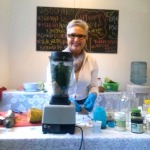 My Rebirth Your Life 4-Week Detox is for YOU! This isn’t lengthy because I want you to get motivated, get started and make desired changes right away. I designed this program because I know that you can do ANYTHING for six weeks, and this time gives you the opportunity to prepare for the cleanse, ease out of it gently, identify the types of foods that support your body, and allow for the emotional detoxing to happen organically. This cleanse is safe, gentle and effective and you personalize it according to your needs and body constitution. These forty days will dramatically jumpstart your healthy eating and lifestyle habits and you’ll see your energy level return to its optimal performance. Guaranteed!!! !